Upon the resignation of Sister Charlene Ozanick in June, the parish began to prepare for a new direction for Religious Formation of the children of the parish. Through much prayer and discernment I am happy to announce that Deacon Jeff Cieslewicz will assume the role of DRE for the parish!! Deacon Jeff, a longtime parishioner and former religion teacher is excited with the opportunity to serve in this capacity. ln order to assist him in the administrational tasks of the position we have hired Jennifer Henry, a life time parishioner, to begin a year- long internship to serve as the administrator of the program as she continues her education at Seton Hill in the pastoral ministry program. Jennifer desires to obtain her degree in theology and pastoral ministry so that she can serve as a catechist and director of parish formation. I believe that our new team, under my support and participation, will bring about a new energy and direction for the formation of our children and aid their parents in the challenge of raising Faith-filled children in a most difficult world. ln the fall, as we have done in the past, the primary grades will be catechized at the Seton Center on Sunday mornings following the 8:30 am Mass. This year grades 1-4 will be asked to attend the 8:30 am Mass as part of the educational and learning process which will continue after Mass in a class room setting. Classes will be held every other week giving families some flexibility for family time and other early Sunday morning activities. The Kindergarten children will be instructed in a special way as part of the Sunday Children’s Liturgy of the Word at the 8:30 Mass following the same schedule as Grades 1-6. Since there will no longer be a Junior youth program shared with Saint Agnes the 5th & 6th grade students will be catechized on Sundays at the Seton Center by Deacon Jeff. Students will follow the same schedule as Grades 1-4 and will meet upstairs in the back of church. Since our students will receive the Sacrament of Confirmation in the 8th grade special teachings and requirements have been set by the diocese. The preparation for Confirmation will begin in seventh grade with classroom instruction on Monday evenings, with Father John, at lmmaculate Conception formation building. This program will be shared with the seventh graders from lmmaculate Conception. The 8th graders will have a very specialized programming that will have them engaged in retreats, workshops and service projects as well as some classroom instruction throughout the year. The program will be directed by Susan Cheplic who was hired by lmmaculate Conception to manage and coordinate all activities recommended by the diocese. Mrs. Cheplic will also continue as the senior Youth Minister (9-12) for all three parishes of our area. The 2018-2019 school year will being with a Kick-off CCD Morning on August 19th, 2018 following the 8:30 mass at the Seton Center. This Kick-off Morning will feature a parent meeting while your child meets their CCD teacher for the first time. We ask that you attend the 8:30 mass, and then come to the Seton Center for fellowship, and a quick informative meeting about the upcoming year. Check out our Faith Formation “Prayer Companions”. The youngsters can practice their prayers with their buddy. How clever!!! We are truly blessed with some awesome teachers. Thank you to all of our Catechists, Aides, and Prayer Angels! Senior Youth Ministry (SYM) is a program for youth in grades 9-12 comprised of youth from the area parishes of SEAS, Immaculate Conception, and Saint Agnes. They meet on Sunday evenings from 6:00-8:00 pm at the Bishop Bosco Center (BBC). 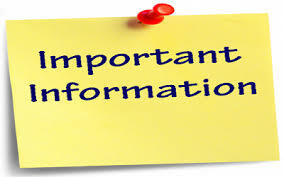 Information for 2018-2019 will be sent home soon.